"I love my Vox AC15. It has this unbelievable sparkly top end that you just can’t get with another amp. It's full of clarity and packs a mighty punch for a small watt combo. It’s always my “go-to” amp." 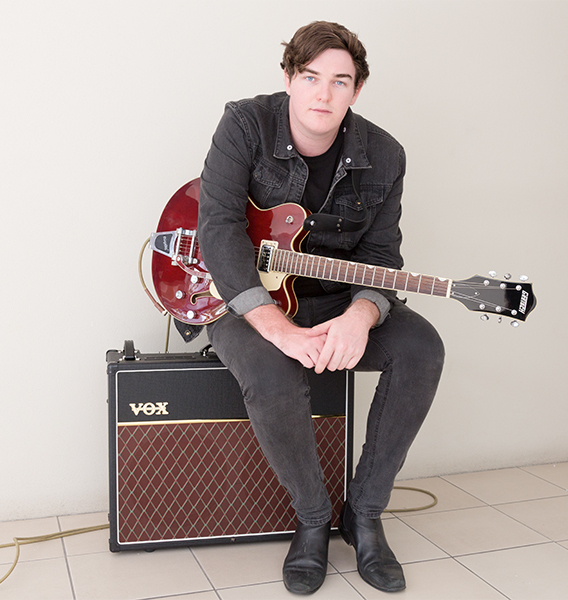 Ashley Martin is the lead guitarist for Australian indie rock band Eliza & The Delusionals. Since releasing their debut single ‘The Ground’ in May 2016 the band have been met with acclaim from fans and critics alike. Embarking on two Australian tours throughout the year, the band capped off 2016 with the release of a new single ‘Salt’, which Triple J’s Dom Alessio described as "a fuzzy stab of power pop that’s sure to brighten your day." 2017 saw Eliza & The Delusionals support acts such as Moose Blood, Ali Barter and Polish Club before heading off on an Australian tour with Killing Heidi. The band were featured in March as a Triple J Unearthed Feature Artist and shortly afterwards embarked on their first international tour to Canada for Canadian Music Week. The group were later nominated for multiple awards at the 2017 Gold Coast Music Awards including ‘Song Of The Year’ for their single ‘Salt’, as well as the ‘Peoples Choice’ award. Eliza & The Delusionals are set to release their debut EP ‘The Deeper End’ in late 2017 which will be followed with an Australian headline tour in support of the new release.